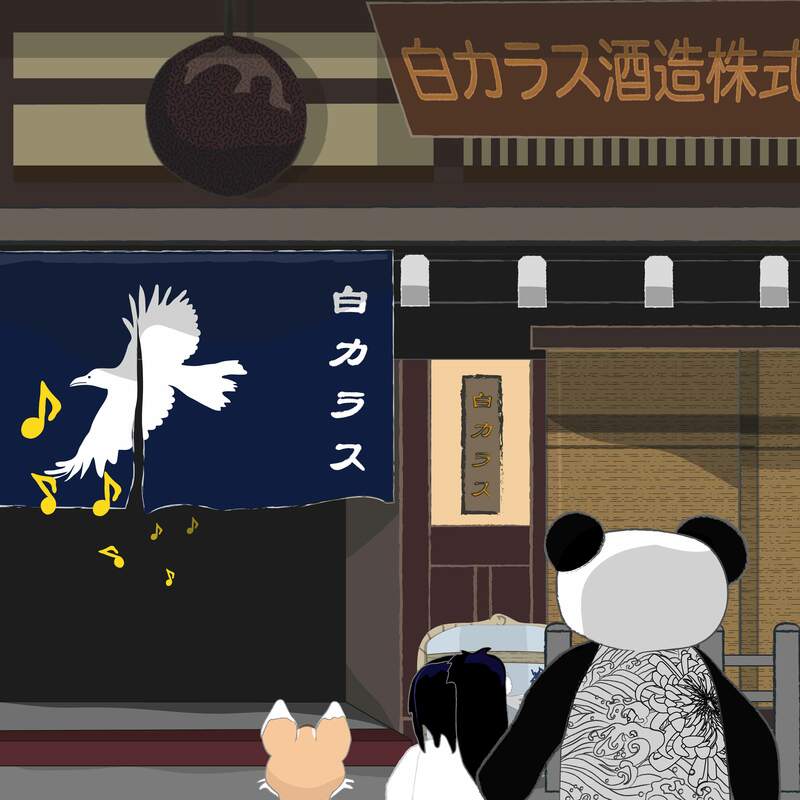 One day in early May, Kiku and Miko-chan had gone along with Boss Panda to the White Crow Sake Brewery, to help with the current stage of sake making. The heat sterilisation was taking place before the sake was going to be stored to age it over the summer months, and it was all hands on deck. Oh-Kappa was normally very focused on his work, but when he saw the friends inquisitive faces in the doorway he beckoned them over. “Hello friends!” he said, “You have come to visit on a great day – the day at the start of summer when frogs begin to sing! It brings in good fortune to the brewery!” He explained that frogs are an auspicious animal in Japan, connected to rainfall, which is important for agriculture and rice harvests in particular, and abundance/ fertility, because of the amount of eggs they lay. The modern Japanese word for frog is ‘kaeru’ which also sounds the same as the word ‘to return’, and so the frog symbol is seen as a way to encourage money back into your hands, or ensure a safe journey back to your home. 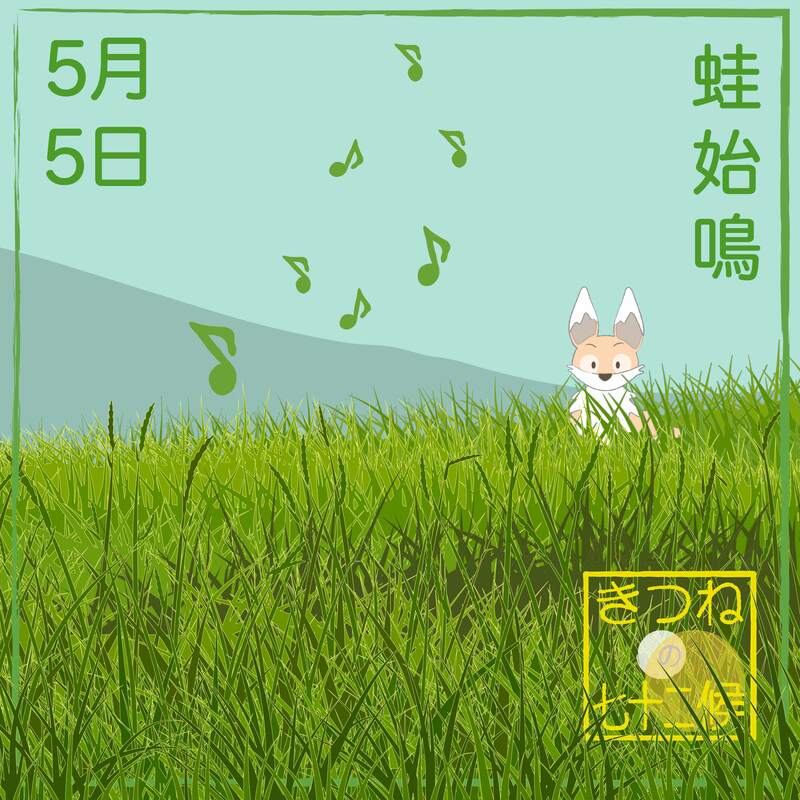 Kiku was excited because that very morning, he had checked the seasonal almanac and found that the current five-day seasonal marker was ‘frogs begin to sing’. “They also are a popular subject of poetry as they are so connected to different seasonal aspects”, added Oh-Kappa. Suddenly the little wrinkled frog known as Pon-chan who had been singing his song the entire time they had been talking abruptly stopped his tune and piped up “don’t talk to me about poetry. Those pesky haiku poets always used to follow me around, especially when I lived for a time in Fukagawa, in the grounds of a little thatched hut.” Miko-chan was a little confused, as she didn’t remember seeing any thatched houses when she last visited the area. Oh-Kappa smiled, and said “Pon-chan is a little older than you might think – you might be surprised to learn that this lucky creature is over 400 years old.” Kiku and Miko-chan’s eyes widened. “400 years old! ?” they both blurted out at the same time. The little frog laughed – “indeed I am! After such a long life I am very much enjoying my retirement here in Oh-Kappa’s sara”**. 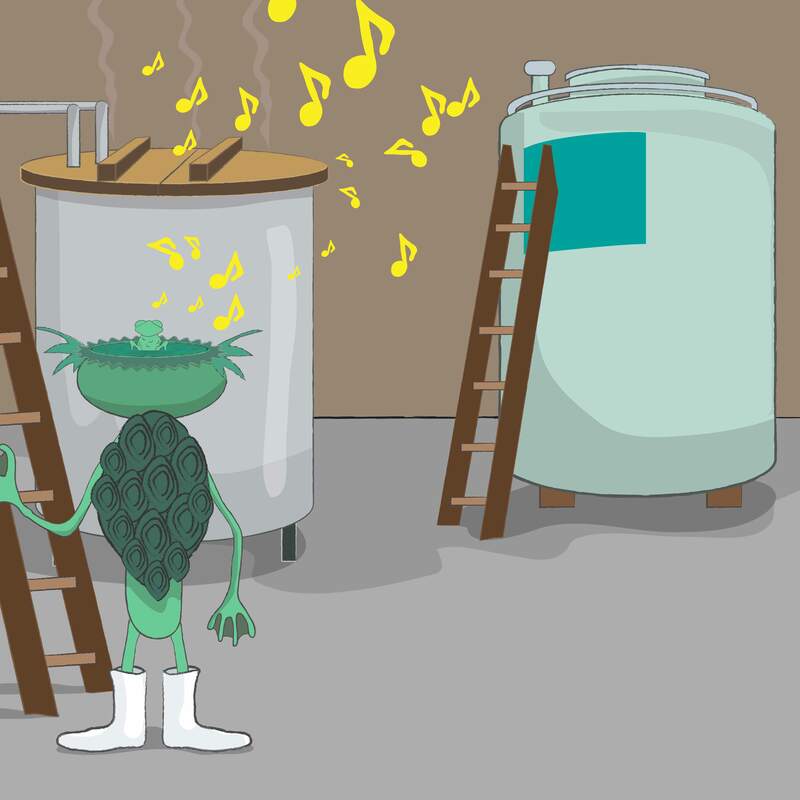 And with a chuckle, he began singing his little tune again, whilst the friends spent the afternoon helping the brewery workers with the preparation of the storage containers. * The brewery workers (kurabito) at the White Crow Sake Brewery are kappas – a kind of water deity, whose name means literally ‘river child’. Folklore tales about them have traditionally been used to warn human children of the dangers of playing near water. Whilst there are mischievous kappas, and tales of terrible deeds (as with most Yōkai), most Kappa are extremely polite with a strong sense of decorum, and for that reason, once a politeness has been shown to them are loyal and hard working. 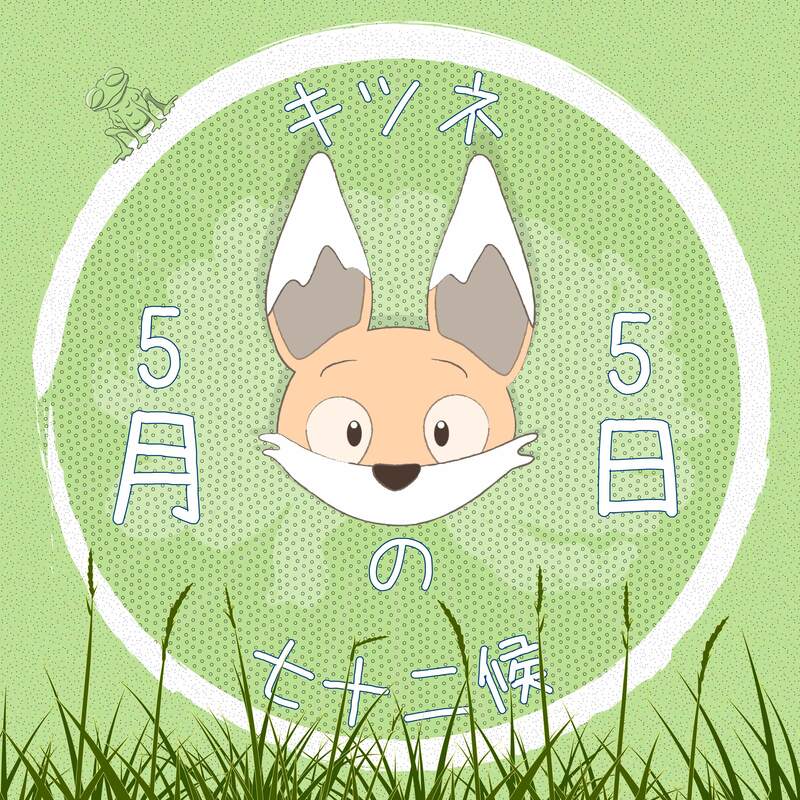 The chief sake maker, Toji Tanuki once helped save the three kappa working at the brewery from being killed when their pond was drained, and ever since they have repaid the kindness by working at the brewery. As water spirits they have a strong connection to water and a knowledge of its properties, which as one of the most important ingredients in sake making means their expertise has been invaluable. **Kappas stand upright on two legs but have webbed hands and feet, and skin which can be slimy or scaled. They have a turtle-like shell on their backs and a beak. The most significant part of their appearance is the dish shaped indentation on their heads, called a sara – this must be filled with water when they are out of water, for if it spills they lose their power and can die. If you were ever to meet one in the wild, and feel threatened, make sure to politely bow – they will have to reciprocate and it will tip the water out. They then have to stand bowed until you fill it up again and would have to be nice to you after that. 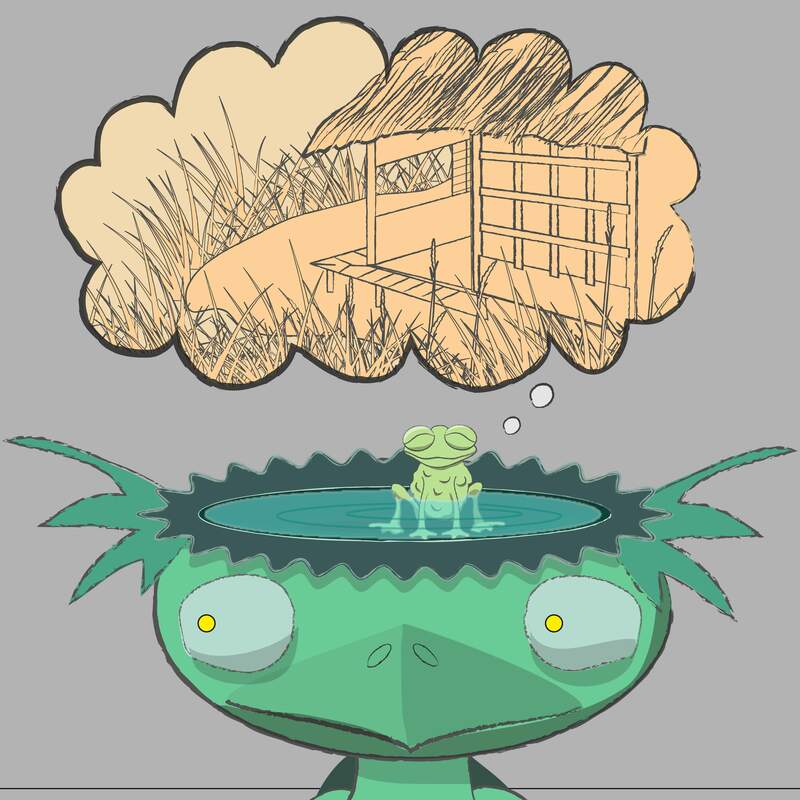 Although the exact sites of his huts are unknown, a tsunami which hit the area in 1917 uncovered a stone frog that had been buried, and was thought to mark the spot of one of his dwellings as he was known to have loved the creatures and had possible been given the statue by one of his followers. 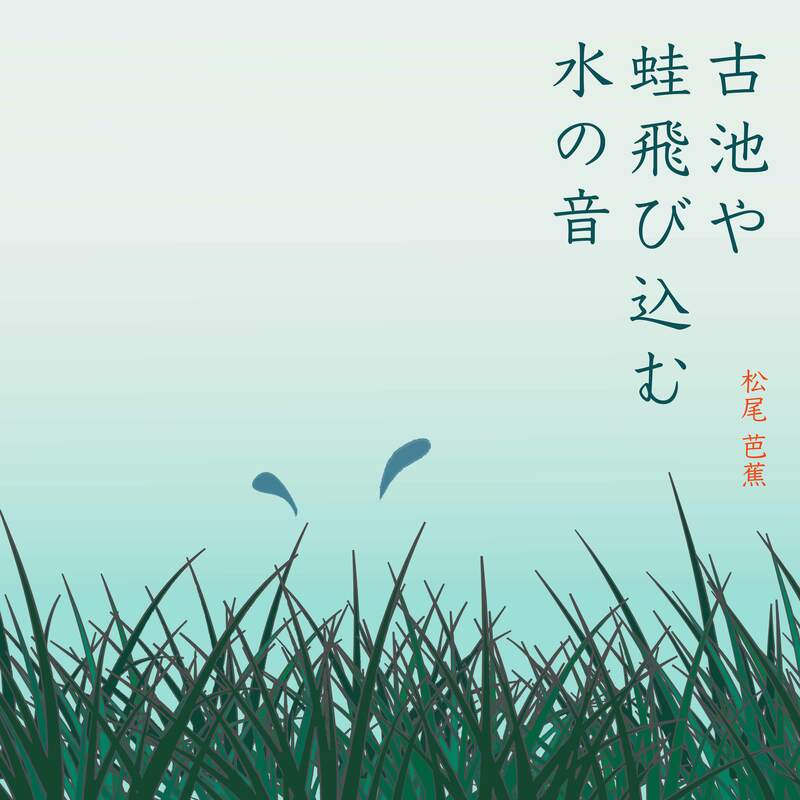 The frog can now be seen in the Bashō Memorial Museum (芭蕉記念館), at 1-6-3 Tokiwa, Koto-ku, Tokyo. Thank you so much Karen, that is great to know!